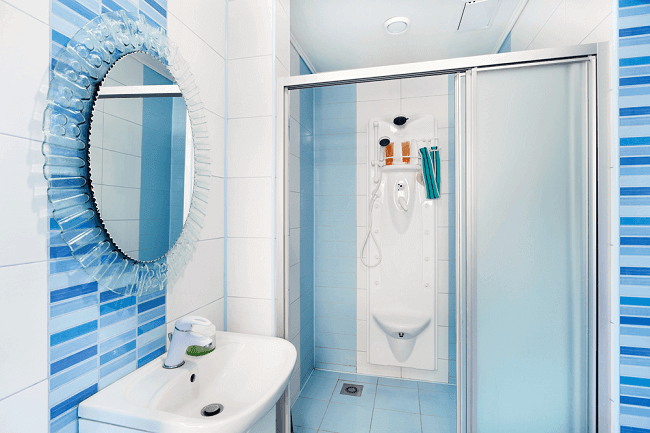 Best Sliding Shower Doors of 2019 – Top Picks Compared! Redecorating your bathroom is a huge decision. 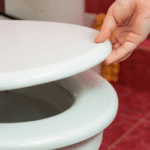 In addition to picking cool and elegant bathroom fixtures, you have to think about a way that will prevent water from flooding the floor. This is true whether you are using a tub or a shower room. The best sliding shower doors are practical screens that can protect your bathroom tiles from the splashing water. If you have a small bathroom, then the sliding door is what you need to create a small yet functional shower area. Sliding shower doors are designed to create a practical space where you can have your shower while diverting the water towards the drain. 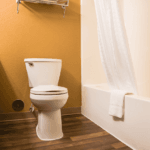 They add aesthetic value and help create space, especially in small bathrooms. If you have a tub, a door is going to help keep your tiles dry. You should say goodbye to old shower curtains because they are so difficult to clean and look outdated. There is a vast number of fantastic shower doors that you can install. You should make sure that you have enough area to install the shower, other fixtures, and still have room to move freely. Read our article to learn how to pick the right product for you. 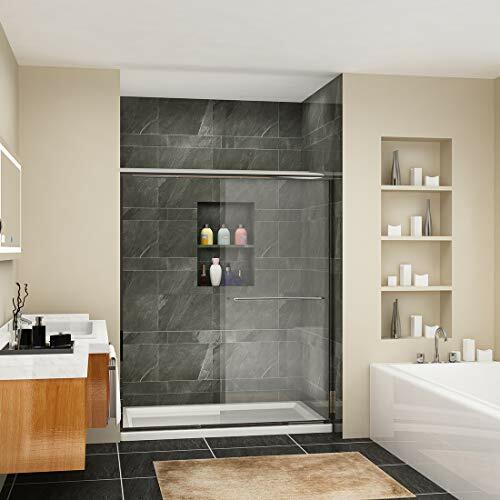 The first product on our list is one of the best frameless sliding shower doors. It is made of 3/8 inch thick, durable tempered glass that can withstand moderate knocks and will make your bathroom look elegant and spacious. The water repellant glass features a wonderful coating that protects it from mineral and soap stains to keep your shower door clean and clear. It also protects the door from scratches. The hardware is made of brushed or polished stainless steel and can be trimmed for width adjustment. The reversible installation allows you to install it to the right or left. However, you need to be careful with installing this modern door because it is rather heavy and will not be adjusted for uneven walls. Nevertheless, it is one of the most durable sliding shower doors on the market. Frameless design with 3/8 inch tempered glass. Glass coating to protect the door from stains and scratches. Can be adjusted for width. 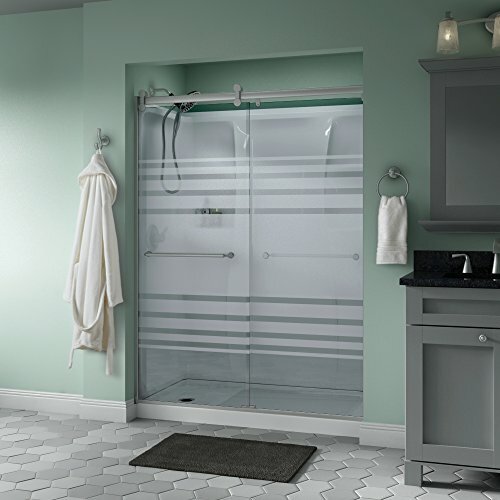 The sleek and modern design of this frameless door adds space to your small bathroom. The clear safety glass is sturdy enough to withstand everyday use while the stainless steel hardware keeps your door sliding effortlessly. The design can be adjusted for width to fit different spaces. The shower roller allows for a reversible opening to the right or left depending on your preferences. The top rail support gives you more safety and allows everyone in the family to use this door with no problems whatsoever. The door can be adjusted for wall shifts that occur over time guaranteeing that it will always work well. This door is leak proof and deflects the water towards the shower drain protecting your bathroom floor from flooding. It comes with a preinstalled handle that gives you more safety as you are enjoying a relaxing shower. The glass doesn’t have a special coating that beads water to slide off the glass, but you can wipe it and use a special treatment to maintain its condition. Sleek and modern frameless door. Reversible installation to the right or left. Adjustable width with a durable top rail for more support and safety. This is an affordable option for people who want to decorate a small bathroom. 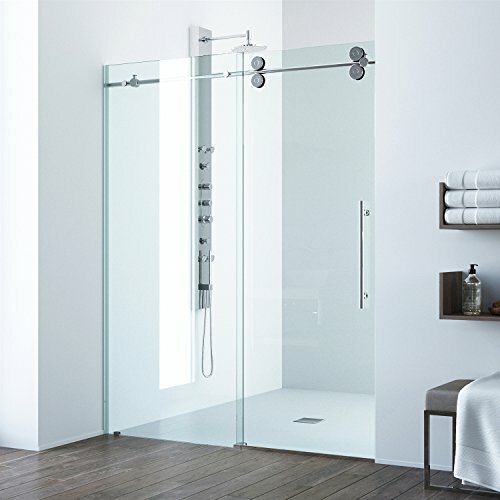 It is one of the best semi-frameless shower doors as it comes in various models that give you more freedom to pick your glass, track style, and handle. 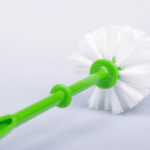 It features ¼ inch tempered glass that is chemically treated to resist limescale and soap stains for fast cleaning. The glass is frosted to give you more privacy, especially if you share your living space with others. The reversible aluminum top rack gives you two choices from traditional to casual, thanks to the hidden rollers that glide the door smoothly. The door handle is treated to resist rust and corrosion, allowing you to use your shower room safely. The center-guided door system provides smooth and quiet operation for everyday use. The door can be adjusted to fit different spaces. It is durable and quite easy to install. Affordable design for smaller bathrooms. Various options when you are picking your glass type, track, and handle for a customized design. Frosted glass for more privacy. Chemically treated glass to resist the accumulation of stains. If you are looking for cheap shower doors, then you must check this one out. It features ¼ thick tempered glass that is sturdy enough to endure everyday use. However, you must be careful not to lean on it as the glass is not that thick after all. This frameless door gives you a lot of flexibility as you can open it to the right or the left. The bypass sliding feature gives you the option to slide it both ways. It features a practical towel bar, so you don’t have to worry about placing your towel while enjoying a relaxing shower at the end of the day. It can be adjusted to fit different spaces thanks to its flexible design. It comes with easy installation instructions, so it is the perfect choice for people who don’t want to hire professionals. You can quickly install it on your own as it comes with all the needed accessories. Flexible and budget-friendly frameless door that can be opened to the right or left. Bypass sliding motion in both directions. Dreamline shower doors offer different options for people who want to redecorate their bathrooms. You can choose the clear or frosted glass based on your personal preferences. This door is also available in 3 different width options. The ¼ inch safety glass door is reversible so it can open to the right or left side. The door can be adjusted up to 4 inches to fit various spaces. It features a stationary panel to hang your towel. The sturdy and elegant chrome-finish hardware doesn’t rust or corrode. This model features a stationary panel and a sliding door, so the opening might not be suitable for people who have bigger bodies. Cleaning this door is a breeze because the glass is coated to resist stains and scratches. The water slides off the glass door, so you can easily maintain it. Various options for different bathroom spaces. Clear and frosted glass options. Chrome-finish hardware to resist corrosion and rust. Water-repellant coated glass to resist scratches and stains. The best shower doors for tubs protect the floor of your bathroom from accidental flooding and keep your space clean and elegant. This affordable door is made of safety clear glass and can be rotated in 180 degrees to the left or right. It is a modern and practical substitute for the shower curtain as it is easy to clean and maintain. The frameless curved design redirects the water towards the drain and away from your bathroom mats and tiles. The curve provides easy access to the tub. The chrome-finish hardware resists heat, rust, and corrosion. It comes with a rubber seal that prevents accidental leaks and redirects the water back to the drain. It is straightforward and quick to install. Rotates in 180 degrees to the left or right. Safety glass that protects your bathroom from flooding. Chrome-finish hardware to resist rust and corrosion. 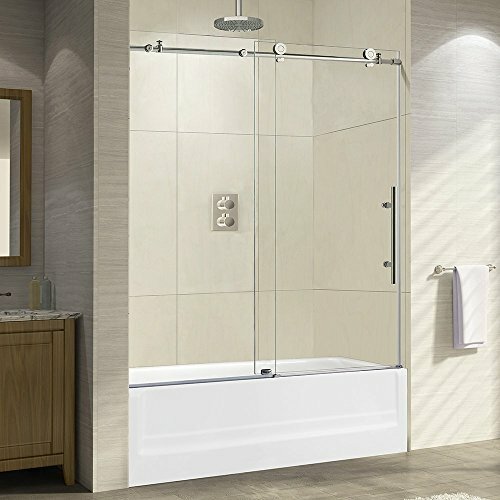 This Woodbridge frameless shower door offers a unique experience for people who are looking for a sturdy and elegant shower door. The edges are made of stainless steel that resists rust while the 3/8 inch thick glass door will last for long. The glass is resistant to stains and spots so you can clean it easily. The rollers move smoothly for quiet and effortless operation. The door can be installed to slide to the right or left to suit your bathroom needs. The door can be easily adjusted to cancel the effect of the wall shift. The glass door is waterproof and comes with the instructions that you need for installation. If you can afford it, then you should think about installing it to your bathroom. Elegant and modern sliding shower door. Flexible installation to the right or left. Can be adjusted to overcome wall shift. Safety glass that repels water. How to Choose the Best Sliding Shower Doors? 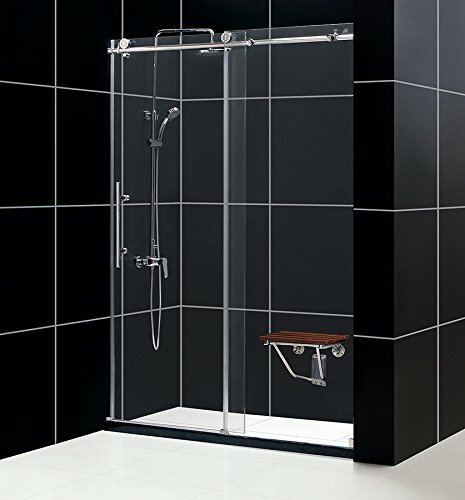 Shower doors could be semi-framed or completely frameless. Although there are framed models, these usually feature thin glass that fits in the frame. Semi-framed and frameless doors are more durable because they feature thick glass. When there is no or little frame, there is no space for mineral deposits to accumulate. Frameless doors feature thick tempered glass and are amazing for smaller bathrooms as they make them look spacious. They still have some metal hardware in the knobs and handles, but they are typically easy to clean and maintain. Semi-frame doors are usually more affordable. The glass is supported by a stainless steel or aluminum frame that keeps the glass in place. 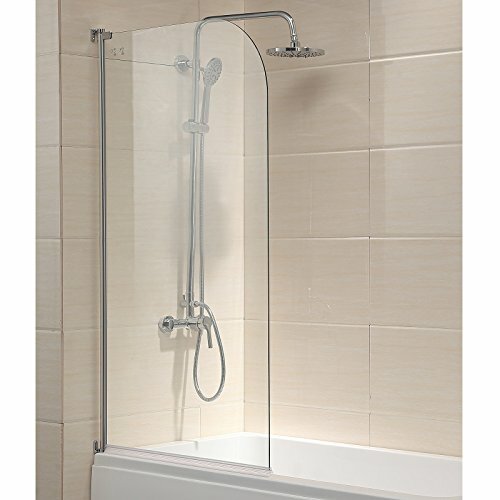 If you don’t have a shower room, you can install a glass tub door instead of a shower curtain. These doors glide or open, protecting your bathroom from water leaks and keeping it clean. Shower doors are either sliding or open on a pivot. Sliding doors are perfect for smaller bathrooms and shower rooms. Most of them can be installed to slide to the right or left side, allowing you to pick the best option for your bathroom design. They don’t occupy much room, giving you enough space in a small bathroom. Pivoting doors are elegant, but they occupy more space. 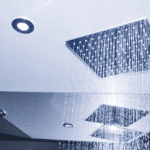 They are either installed to a shower room or a tub to redirect the water towards the drain. Before you install a pivoting door, you have to make sure that you have enough space to open it properly. Tempered glass is strong enough to withstand daily use. Make sure that your door features safety glass that doesn’t shatter with exposure to heat and water. You can either opt for clear or frosted glass doors to install in your bathroom. Clear glass is modern and clean, but you have to be ready to clean it regularly. If the glass is treated to resist stains and mineral buildup, then it is definitely a plus. Frosted glass provides more privacy. It doesn’t show stains and will complement the look of your bathroom. It is also easier to maintain. Shower doors are modern and elegant substitutes to shower curtains. Installing the best sliding shower doors help you create an amazing shower space in your small bathroom. 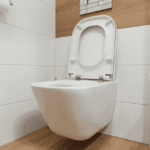 There are a lot of options available on the market, so you should make sure that you’ve picked one that matches the available space in your bathroom. Some models are easier to install than the others, so bear that in mind if you are fond of doing home improvement work on your own.